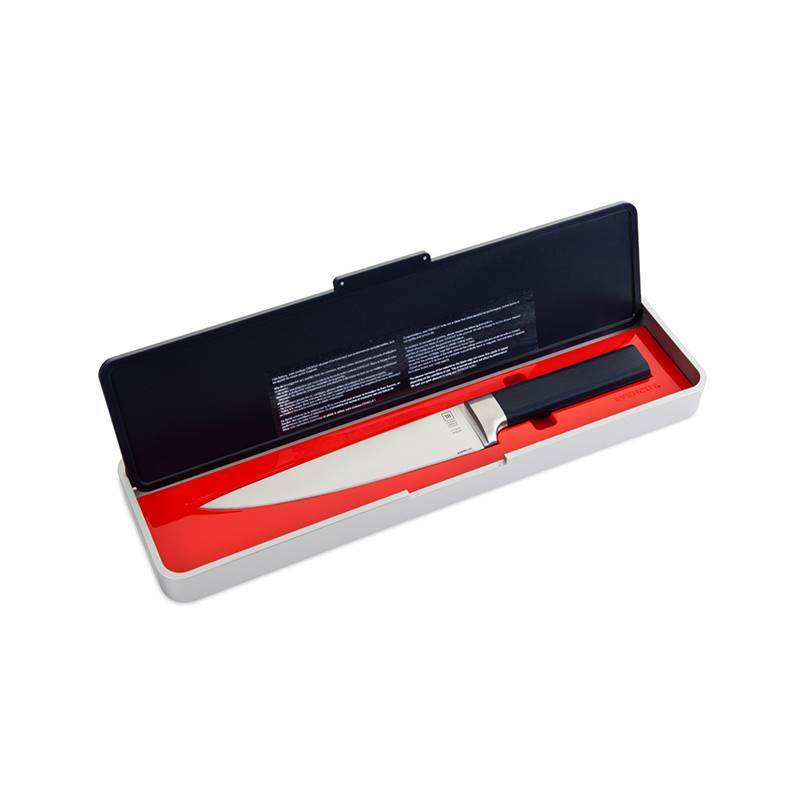 Derived from the chef knife, this ergonomic kitchen knife shows an unrivalled cutting ability thanks to its 20 cm blade which is slimmer and longer than the one of a chef knife and which can work in details. 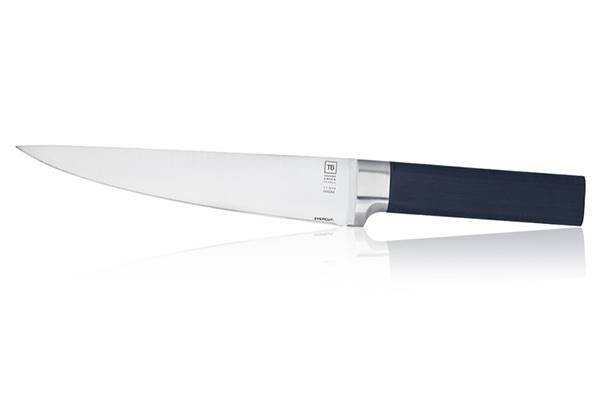 With its perfectly neat design, chefs as well as beginners will strongly appreciate the ease of use of this French Evercut® knife. 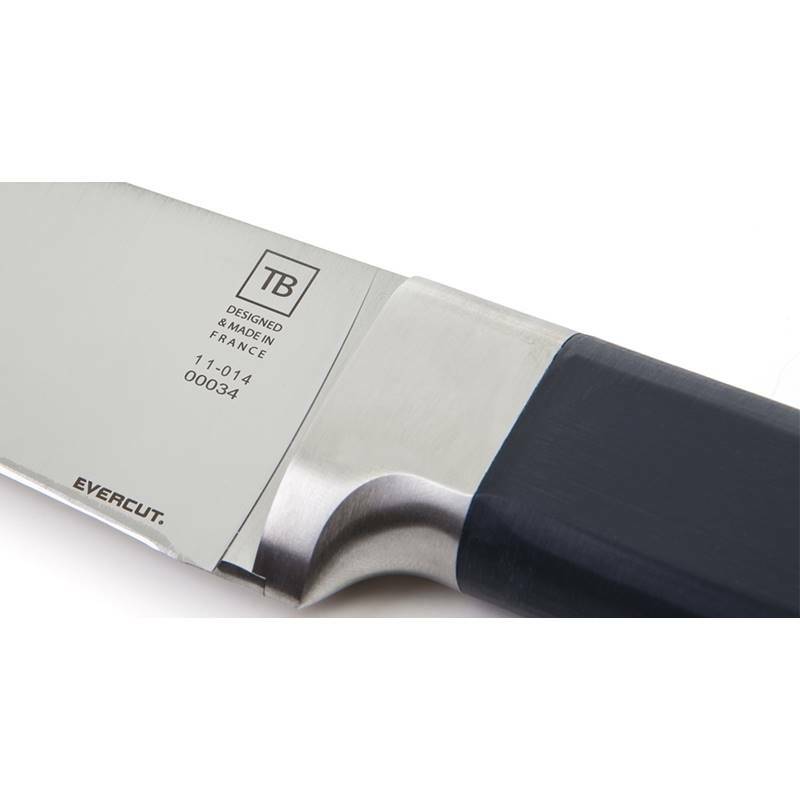 This knife is the result of 5 years of R&D testing with TB experts and offers an unparallel cutting performance. The cutting edge benefits from an exclusive treatment that offers a unique cutting reliability and which enables the cutting of nice pieces. 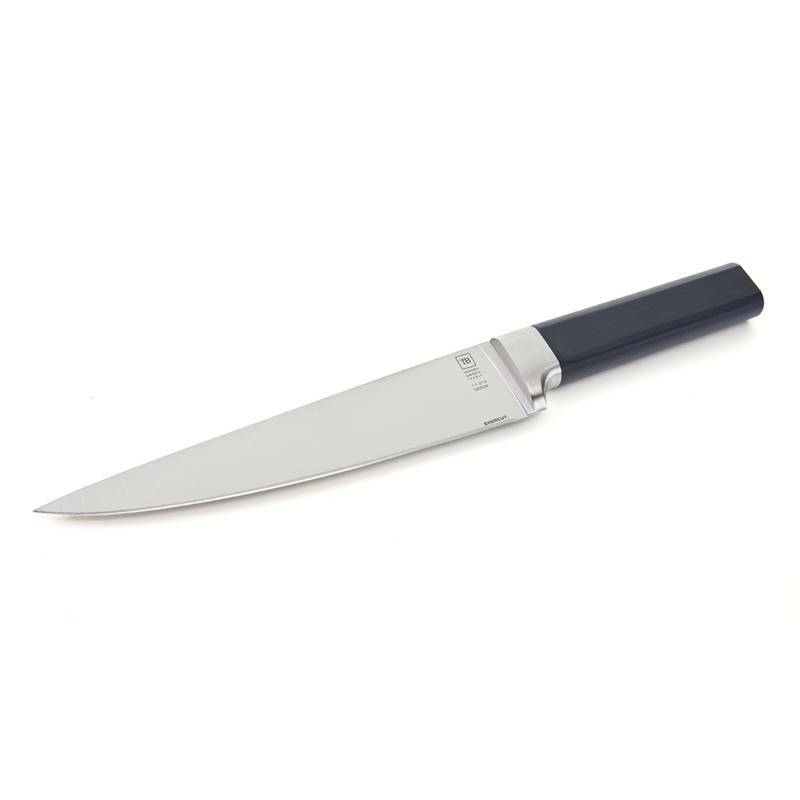 The ergonomics of this multipurpose kitchen knife eases the realisation of meat, fish and even fruit and vegetables carpaccio. 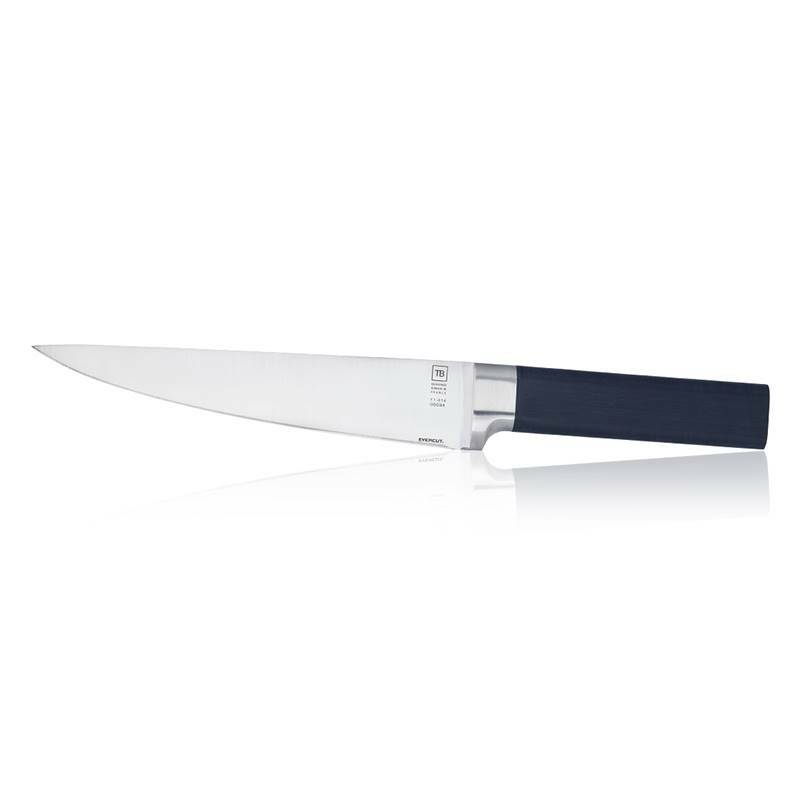 Tarrerias-Bonjean does not want to compromise on the quality of their French knives which cutting edges are lifetime guaranteed. 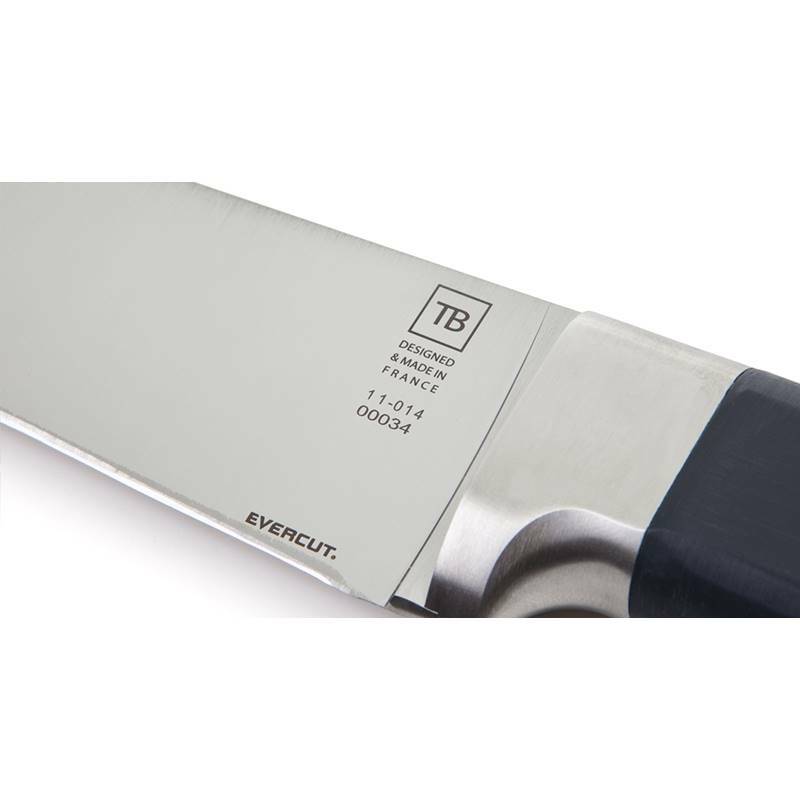 Each blade is unique and numbered and can also be personalised with a writing up to 30 characters.